Holy Shiitakes! How did this happen? Where did 2016 go? I feel like I was just scrambling around for Thanksgiving, and then I blinked and now it’s New Years. Woah. Like I’ve mentioned before, Mr. Table and I like to stay in and host friends at our house. The same goes for New Years Eve. We are more into enjoying a good bottle of bubbly and bites with a few close friends than crowds and staying out late. Ok, we’re old. 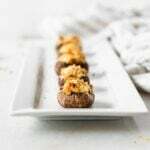 In case you are anything like me and the last few months just flew right by you, I’ve made the easiest appetizer for you to share with guests this New Years Eve. It requires zero thinking, and looks elegant enough for the most fancy parties. Easy. Boursin. Stuffed. Mushrooms. 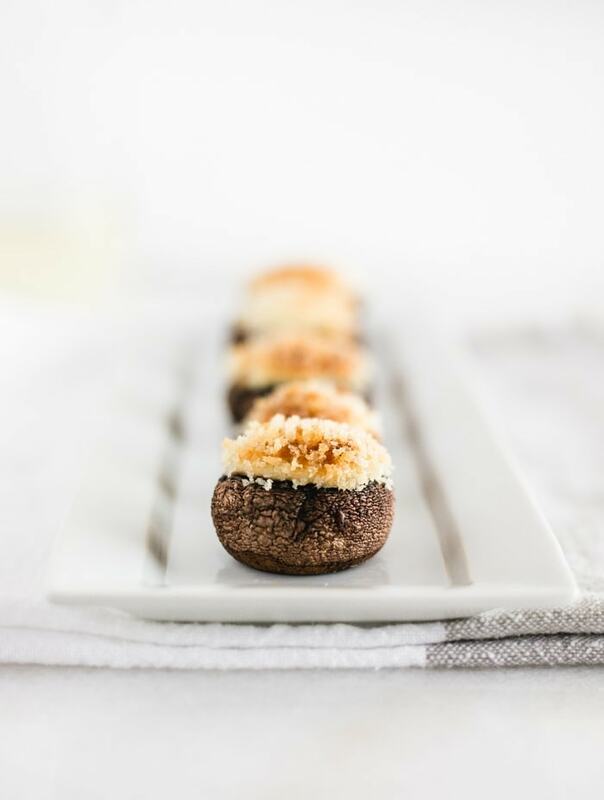 You just scoop some (amazing) cheese into some mushrooms and throw them in the oven while you wait for the champagne to chill. What could be easier? 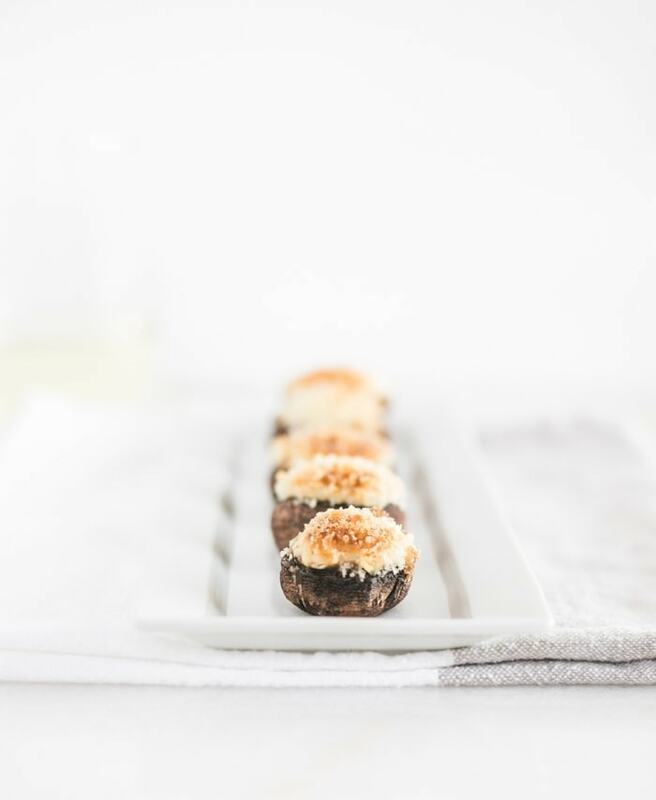 Nobody will know that these yummy easy boursin stuffed mushrooms were so simple to make, either. They taste heavenly and look absolutely gorgeous. Perfect to go alongside your best bottle of sparkling. 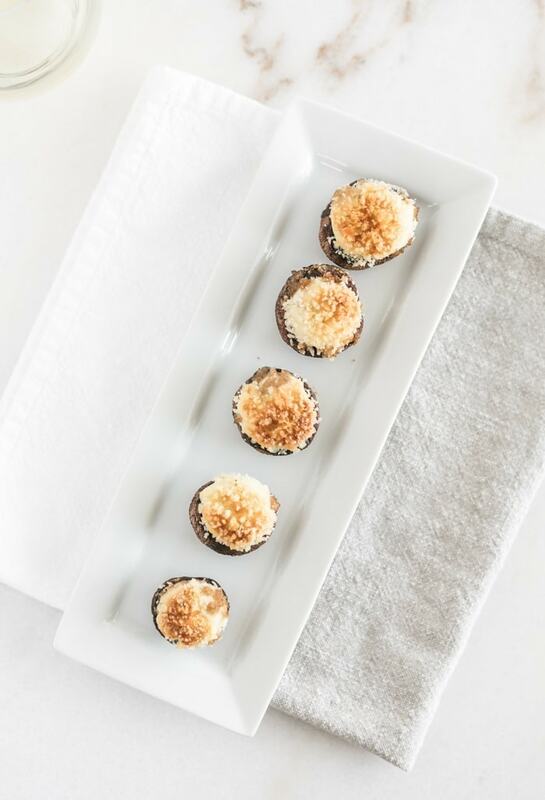 Cheers to easy entertaining and a happy new year! To make breadcrumbs, toast 2 slices of sourdough bread. Place in a high-powered blender and pulse until crumb-sized. 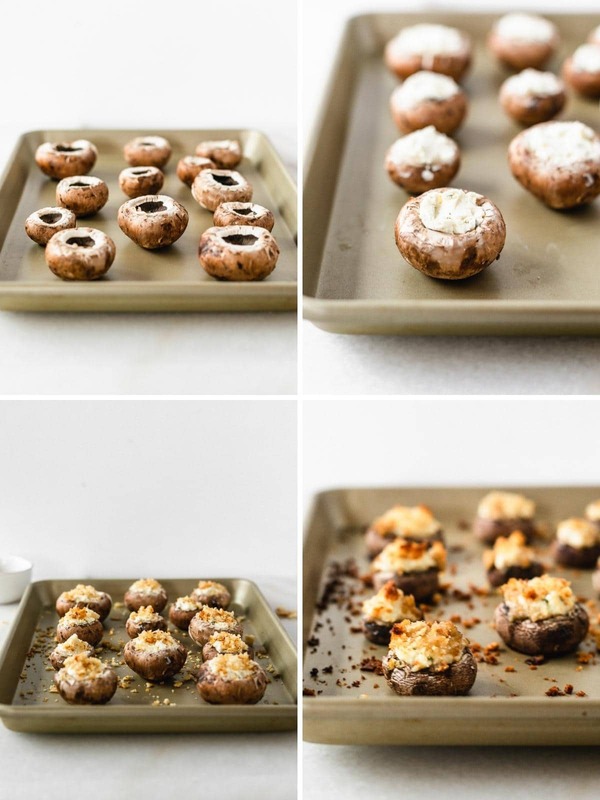 Place mushroom caps with the hole side facing up on a cookie sheet lined with parchment or a silicone baking mat. Scoop about 1 tsp Boursin into the hole of each mushroom (or 1/2 tsp for smaller ones). Sprinkle bread crumbs over the tops, pressing down slightly to make them stick. Drizzle lightly with olive oil and bake for 25-30 minutes. Need more easy New Year’s Recipes? 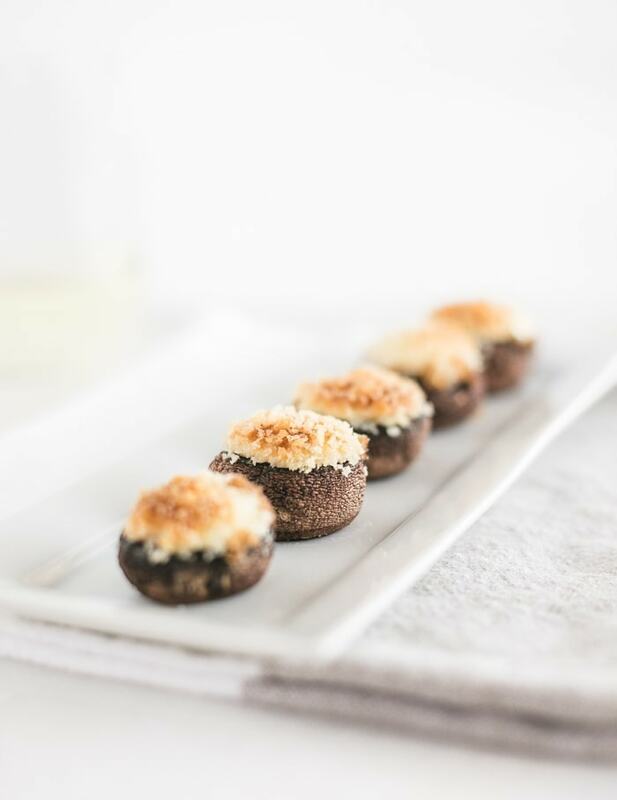 Follow my Party Appetizers board and Cocktails board on Pinterest!